When I started thinking about this whole No Shave November thing, to be quite honest, I was thinking of only drawing and painting dudes with beards. But of course I was immediately challenged to put beards on other things...like flowers...and chickens. 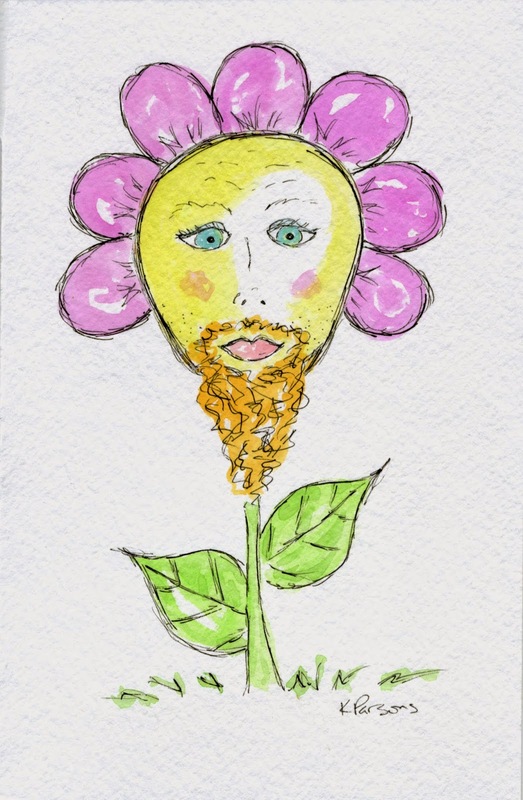 So not being one to back down from a challenge, I give you a flower with a beard.